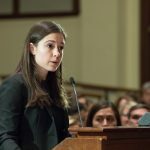 Relive the 2018 Ames Moot Court Final Round through the Harvard Civil Rights-Civil Liberties Law Review (CRCL) live blog on November 13, 2018. See the judges, oralists, and participants in the final round, and learn more about the case that was argued. 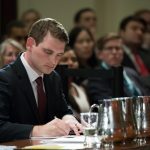 For more than 100 years, Harvard Law School’s Ames Moot Court Competition has been one of the most prestigious competitions for appellate brief writing and advocacy in the nation. In one of the most anticipated events of the year, contestants stand in the Ames Courtroom before an illustrious panel of distinguished jurists to demonstrate their skills in oral argument. As it has since 1911, the competition draws standing room–only crowds as two 3L teams argue before the judges. A justice of the U.S. Supreme Court is usually a member of the three-judge panel. Making the final round is one of the school’s greatest honors. Winners have been memorialized on bronze plaques in Langdell Library. 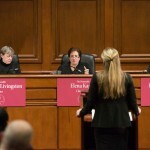 Watch videos of previous Ames Moot Court Competitions. 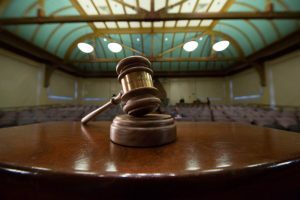 See which judges sat on the panels at the Ames Moot Court Competitions from 1974-present. Browse the archives to see photos, videos, and details of teams, participants, and judges of the historical Ames Moot Court Competitions. The First Year Ames Moot Court serves as the academic focus of first-year students’ second semester of Legal Research and Writing (LRW). All first-year J.D. students participate. The work of briefing and arguing a case is an essential part of a Harvard legal education and helps students develop critical skills in argument and logic. Students work in pairs to compose briefs on the merits of a hypothetical appellate case. Cases are assigned by students’ Legal Research and Writing instructors, the Climenko Fellows. The Fellows, together with members of the Board of Student Advisers who serve as teaching assistants, teach students how to research and write their briefs and help them prepare for oral arguments. The Qualifying Round is the first round in the upper-level Ames Competition. All second-year students or joint-degree students currently enrolled in their first year of post-1L law school courses are eligible to participate. The students participating in the Semi-Final Round start the competition in the 2L year and rise to the final four spots through their strong research abilities and excellent written and oral advocacy. The students participating in the Final Round start the competition in fall of their 2L year. Two teams progress to the Final Round in their 3L year through their strong research abilities and excellent written and oral advocacy. 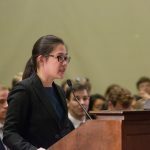 Past Ames Competition participants include Professor Cass Sunstein, Dean Kathleen Sullivan, Massachusetts Governor Deval Patrick, and Justice Harry Blackmun. The Board of Student Advisers (BSA) is an organization of upper-level students who serve as administrators of the Ames Moot Court Competition. The BSA’s mission is to build a community among first-year students and among the diverse student body of Harvard Law School.